Leroy Trussell stirs of a wanton for saddles, boots, hats, and a pair of spurs, when he takes you back to old western good ole days, which still currently go on in many rural areas of the United Stages, and even in other countries. In “Cowboy Granduer” he says what one might think as you gaze across green pastures and look up… Taking on a bold crystal glow of radiant pastel blue, up where eagles dare to fly; cowboy givin’ reverence to God’s majestic view, with a happy tear, through this ol‘ cowboy’s eye. Reminding us to not take everyday and the ordinary for granted. Bonnie Parker Ridge. The traditions of the working cowboy are etched into history, and into the minds of average folk from television shows of the 1920s to the present day—they were shown chasing down cattle thieves, American Indians, drinking and brawling on the streets of their local town, and often robbing a stage coach, or two. In reality, working ranch hands, past and present, had very little time for anything other than the constant, hard work involved in maintaining a ranch. Ranch hands are often constant companions to one another and are the life blood of the farm and ranch, and wranglers spent, still do, many lonely nights herding livestock. Cowboy Poetry is part of that tradition, and began on the trail. 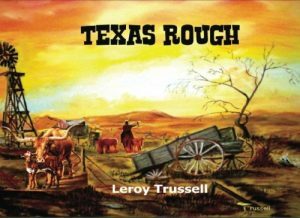 From the earliest recorded cattle drives the cowboy sang tunes for morale, and whistled tunes to keep the cattle calm through the night. Each have their own story, and with-in their poetry and songs, they carve out a new trail story. 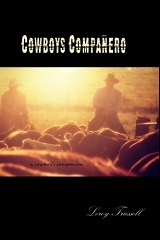 Today daily work and lives are still documented in this form, Cowboy Poetry, by the traditional likes of the cowfolk. They remain unique. Leroy is a late-comer Cowboy Poet and has been published in Cowboy Poetry Press, their anthology Unbridled, and has had an article in Morning Chores and Soda Fountains, along with a book published by Hometown Memories, Early Times of Marble Falls, Texas, where he lives and works alongside cattle, goats, and for Sweet Berry Farm.